We are honoured to be named feature charity of the month by First Edition First Aid Training! 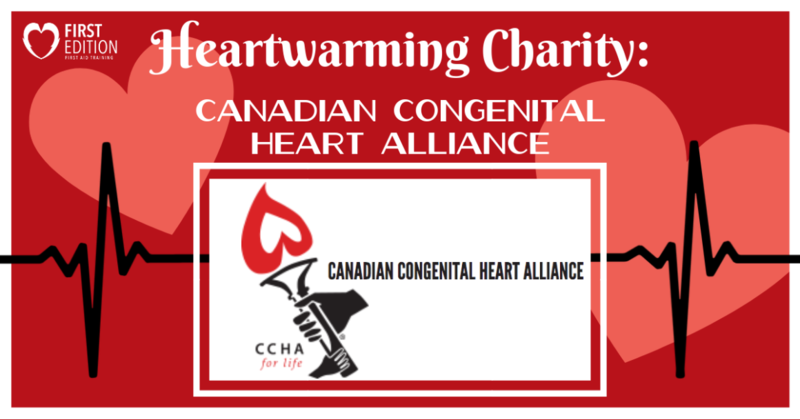 Thank you for recognizing our organization and the hard work we do to support children and adults in Canada living with congenital heart disease #CHD through education, research and advocacy. Your recognition helps to shine a spotlight on Congenital Heart Disease and increase CHD awareness.